Keyboardist and singer, Joe McBride began playing the piano at age four. His earliest influences were Gospel, Bebop, Jazz, Motown, 70’s R&B and Funk. Stricken with a degenerative eye disease as a teenager which eventually claimed his sight, McBride’s passion for music only grew stronger. “Smokin” Joe as he is often referred has recorded several albums and is a consummate entertainer. McBride has been the opening act for Whitney Houston, Larry Carlton, Yellowjackets and countless other jazz and pop stars. His audience has steadily grown, making him a favorite in Europe and especially Spain. McBride has also participated in internationally recognized recordings such as “Diamonds On The Souls Of Her Shoes” along with Melissa Ethridge and on Ladysmith Black Mambazo’s Grammy nominated Long Walk To Freedom. He recorded the classic African jazz anthem “Mannenberg” along with guitarist/vocalist Jonathan Butler on the album Smooth Africa. Joe McBride has a lot to say. 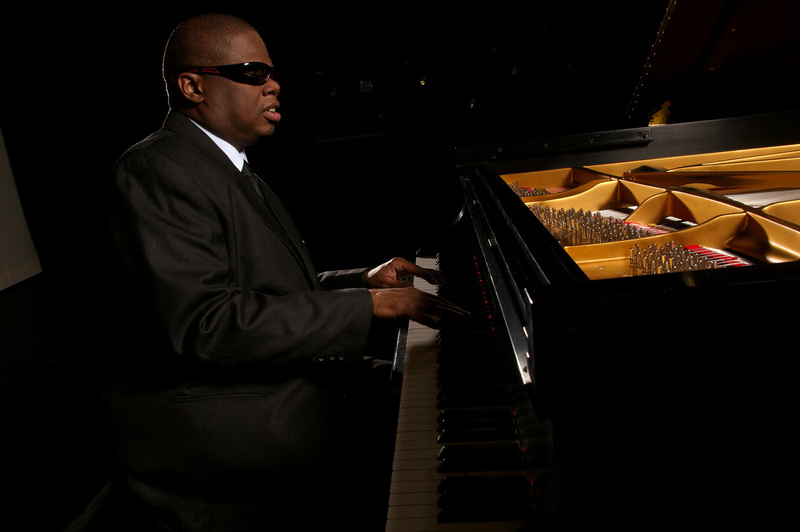 His shows demonstrate his amazing soulful ability to sing and play the piano at a very high-level and connect with an audience.